I know many of you have dealt with at least one of these: severe PMS, sudden mood changes, oily hair or spontaneous acne. I have struggled with hormone imbalance for a long time, and these symptoms are all very familiar to me. In my early twenties I treated them with pills; now I keep things in balance with a healthy lifestyle, a natural diet and the aid of healing superfoods. Relying on natural remedies was my way to balance my hormone production, and maca is one of my favorite medicines. The rich nutritional profile of maca includes high concentrations of protein, iron, potassium, iodine, essential minerals (calcium and magnesium), natural sugars and fiber. All of these nutrients are essential for balancing hormone production. Minerals support the healthy activity of your body cells and their natural detox functions, fiber cleanses old estrogen from your system, and iodine is essential for thyroid function. The wide nutrient array of maca give it its exceptional health benefits. I don’t take maca as a supplement, but I keep maca powder stocked in my kitchen to add to smoothies, breakfast bowls or this hormone-balancing hot chocolate. Consuming it in the form of organic, raw powder rather than as a standardized pill is the best way to get maximum healing benefits. Recently I discovered that maca works magic in energy bars. The natural sugars give a delicious taste and an energy kick before exercising. I combine it with a mix of nuts for healthy fats and protein, pitted dates for natural sugar, and oats for fiber and cleansing action. 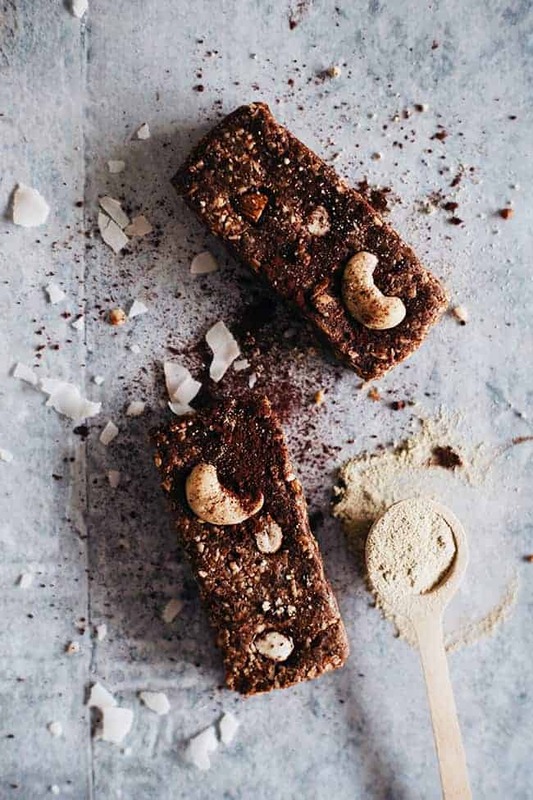 Made with maca powder, oats and mixed nuts, these bars nourish your body from inside out, help it cope with stress and energize it. In the food processor add drained dates, coconut oil, almond butter, maca and cacao powder, and process to obtain a creamy puree. 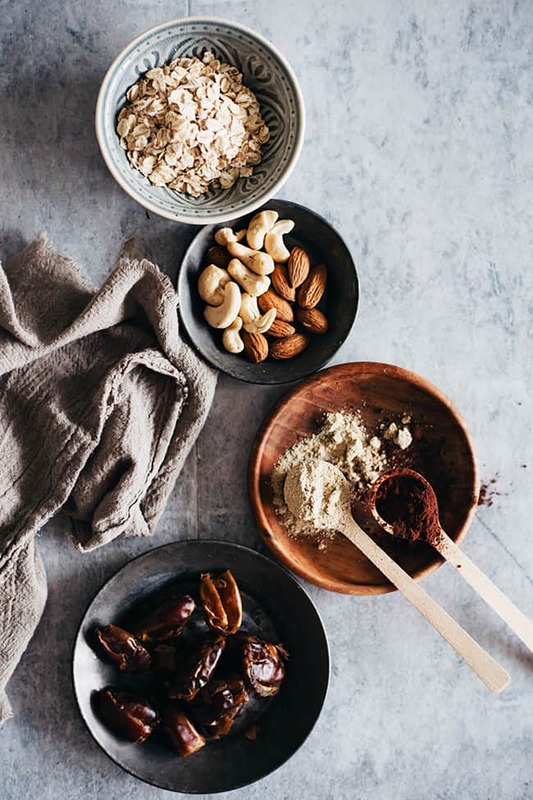 Add the mixed nuts, desiccated coconut, rolled oats and salt and mix to incorporate. Shape little bars using your hands, place them on a tray lined with parchment paper, cover with plastic foil and freeze for at least two hours. Defrost for 10 minutes at room temperature before serving. These sound incredible! And I’m also working on taking less pills and getting my nutrients naturally. 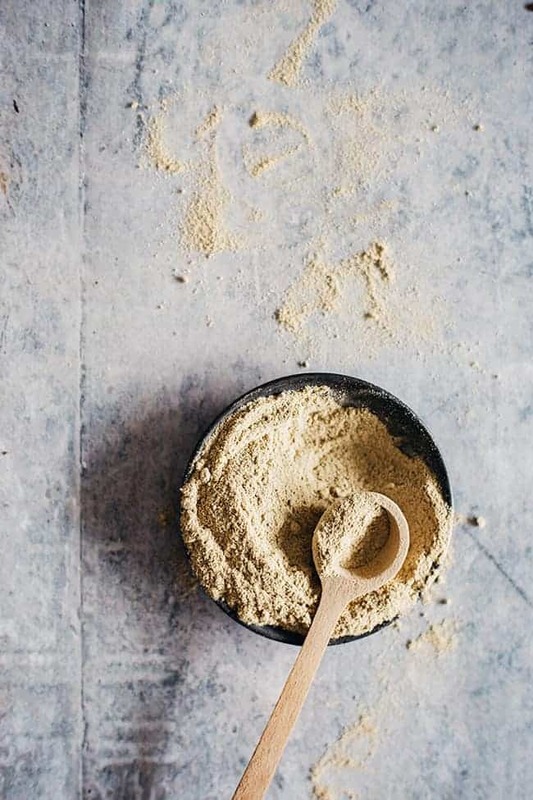 Do you have a maca powder that you use that you’d recommend? Thanks!! These look amazing and the added health benefits only make them that much more appealing! Thank you so much for sharing such great snack inspiration!!! I don’t love maca, but these sound amazing! Definitely going to have to bookmark this recipe.